Massimo Pigliucci (Italian pronunciation: [ˈmassimo piʎˈʎuttʃi]; born January 16, 1964) is Professor of Philosophy at CUNY-City College, formerly co-host of the Rationally Speaking Podcast, and formerly the editor in chief for the online magazine Scientia Salon. He is an outspoken critic of pseudoscience and creationism, and an advocate for secularism and science education. Pigliucci was born in Monrovia, Liberia and raised in Rome, Italy. He has a doctorate in genetics from the University of Ferrara, Italy, a PhD in biology from the University of Connecticut, and a PhD in philosophy of science from the University of Tennessee. He is a fellow of the American Association for the Advancement of Science and of the Committee for Skeptical Inquiry. Pigliucci was formerly a professor of ecology and evolution at Stony Brook University. He explored phenotypic plasticity, genotype-environment interactions, natural selection, and the constraints imposed on natural selection by the genetic and developmental makeup of organisms. In 1997, while working at the University of Tennessee, Pigliucci received the Theodosius Dobzhansky Prize, awarded annually by the Society for the Study of Evolution to recognize the accomplishments and future promise of an outstanding young evolutionary biologist. As a philosopher, Pigliucci is interested in the structure and foundations of evolutionary theory, the relationship between science and philosophy, and the relationship between science and religion. He is a proponent of the extended evolutionary synthesis. Pigliucci writes regularly for Skeptical Inquirer on topics such as climate change denial, intelligent design, pseudoscience, and philosophy. He has also written for Philosophy Now and maintains a blog called "Rationally Speaking". He has debated "deniers of evolution" (young-earth creationists and intelligent design proponents), including young earth creationists Duane Gish and Kent Hovind and intelligent design proponents William Dembski and Jonathan Wells, on many occasions. For his views on the Search for extraterrestrial intelligence, see Search for extraterrestrial intelligence § Massimo Pigliucci. While Pigliucci is an atheist himself, he does not believe that science necessarily demands atheism because of two distinctions: the distinction between methodological naturalism and philosophical naturalism, and the distinction between value judgements and matters of fact. He believes that many scientists and science educators fail to appreciate these differences. Pigliucci has criticized New Atheist writers for embracing what he considers to be scientism (although he largely excludes philosopher Daniel Dennett from this charge). In a discussion of his book Answers for Aristotle: How Science and Philosophy Can Lead Us to a More Meaningful Life, Pigliucci told Skepticality podcast host Derek Colanduno, "Aristotle was the first ancient thinker to really take seriously the idea that you need both empirical facts, you need an evidence-based approach to the world and you need to be able to reflect on the meaning of those facts... If you want answers to moral questions then you don't ask the neurobiologist, you don't ask the evolutionary biologist, you ask the philosopher." Pigliucci describes the mission of skeptics, referencing Carl Sagan's The Demon-Haunted World saying "What skeptics are about is to keep that candle lit and spread it as much as possible". Pigliucci serves on the board of NYC Skeptics and on the advisory board of the Secular Coalition for America. In 2001, he debated William Lane Craig over the existence of God. 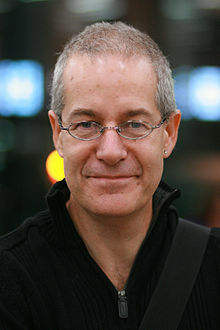 Massimo Pigliucci criticised the newspaper article by Pope Francis entitled, "An open dialogue with non-believers". Pigliucci viewed the article as a monologue rather than a dialogue and, in a response personally addressed to Pope Francis, wrote that the Pope only offered non-believers "a reaffirmation of entirely unsubstantiated fantasies about God and his Son...followed by a confusion between the concept of love and truth, the whole peppered by a significant amount of historical revisionism and downright denial of the ugliest facets of your Church." In August 2000 Massimo started with a monthly internet column called Rationally Speaking. In August 2005, the column became a blog, where he wrote posts until March 2014. Since 1 February 2010, he co-hosted the bi-weekly Rationally Speaking podcast together with Julia Galef, whom he first met at the Northeast Conference on Science and Skepticism, held in September 2009. The podcast is produced by the New York City Skeptics. He left the podcast in 2015 to pursue other interests. In 2010, Neil DeGrasse Tyson explained on the show his justification for spending large amounts of government money on space programs. He eventually printed the transcript of his performance as a guest on the show in his book Space Chronicles as a full chapter covering eight pages. Another episode in which Tyson explained his position on the label "atheism" received attention on NPR. Cover of Philosophy of Pseudoscience. Schlichting, Carl; Pigliucci, Massimo (1998). Phenotypic evolution : a reaction norm perspective. Sunderland, Mass. : Sinauer. Tales of the Rational (Freethought Press, 2000): A series of essays on atheism, straw-man arguments, creationism and the like. Phenotypic Plasticity (Johns Hopkins University Press, 2001): A technical volume on research concerning nature and nurture questions. Denying Evolution: Creationism, Scientism, and the Nature of Science. (Sinauer, 2002) ISBN 0-87893-659-9: This book covers the evolution-creation controversy, better science teaching, and why people have difficulties with critical thinking. Phenotypic Integration (Oxford University Press, 2003) ISBN 0195160436: A collection of technical essays on the evolution of complex biological organs. Making Sense of Evolution (with Jonathan Kaplan, University of Chicago Press, 2006, ISBN 978-0-226-66837-6): A philosophical examination of the fundamental concepts of evolutionary theory and practice. Nonsense on Stilts: How to Tell Science from Bunk (University of Chicago Press, 2010, ISBN 978-0-226-66786-7): This book presents a number of case studies on controversial topics in order to examine how science is conducted, how it is disseminated, how it is interpreted, and what it means to our society. The following are a select few of Pigliucci's articles. Some may be found at the Internet Infidels' Secular Web. "Is evolutionary psychology a pseudoscience?". Skeptical Inquirer. 30 (2): 23–24. 2006. "Science and fundamentalism". EMBO Reports. 6 (12): 1106–9. 2005. doi:10.1038/sj.embor.7400589. PMC 1369219. "The power and perils of metaphors in science". Skeptical Inquirer. 29 (5): 20–21. 2005. "What is philosophy of science good for?". Philosophy Now. 44: 45. January–February 2004. Pigliucci M, Banta J, Bossu C, et al. (May–June 2004). "The alleged fallacies of evolutionary theory". Philosophy Now. 46: 36–39. Additional articles can be found on his web sites (see "External Links" below). 2013 "[Untitled review]". Books. Philosophy Now. 95: 44. Mar–Apr 2013. Woodruff, Paul (2011). The Ajax dilemma : justice, fairness, and rewards. New York: Oxford University Press. Daniel Dennett, Massimo Pigliucci and Lawrence Krauss on a debate about "The Limits of Science"
^ "Cuny - City College — Philosophy Department". ^ Pigliucci, Massimo; Boudry, Maarten, eds. (2013). Philosophy of Pseudoscience: Reconsidering the Demarcation Problem. University of Chicago Press. ISBN 978-0226051963. ^ Pigliucci, Massimo (10 October 2013). "The Dangers of Pseudoscience". The New York Times. ^ Pigliucci, Massimo (2002). Denying evolution: Creationism, scientism, and the nature of science. Sunderland, MA: Sinauer Associates. ^ a b Pigliucci, M. (2005). "Science and fundamentalism". EMBO Reports. 6 (12): 1106–9. doi:10.1038/sj.embor.7400589. PMC 1369219. ^ "Massimo Pigliucci — Selected Papers". Archived from the original on 2012-08-05. ^ "Society for the Study of Evolution — Description of Awards". Archived from the original on 2015-10-25. Retrieved 2009-06-06. ^ Wade, Michael J. (2011). "The Neo-Modern Synthesis: The Confluence of New Data and Explanatory Concepts" BioScience 61: 407-408. ^ "Massimo Pigliucci". Committee for Skeptical Inquiry. ^ "Rationally Speaking — a blog by Pigliucci about skepticism and humanism". ^ Pigliucci, Massimo (2002). Denying evolution: creationism, scientism, and the nature of science. Sunderland, Mass. : Sinauer Associates. ISBN 0-87893-659-9. ^ "Evolution Debate — Pigliucci vs Hovind". Richard Dawkins Foundation for Reason and Science. January 31, 2007. Archived from the original on June 11, 2013. Retrieved 2012-12-16. ^ "CV of William Dembski". Retrieved 1 January 2014. ^ "Evolution and Intelligent Design: Pigliucci vs Wells". Uncommon Knowledge. January 14, 2005. Archived from the original on March 8, 2008. Retrieved 2008-07-17. ^ Pigliucci, Massimo (18 August 2008). "Excommunicated by the Atheists!". ^ Pigliucci, M. (2013). "New Atheism and the Scientistic Turn in the Atheism Movement" (PDF). Midwest Studies In Philosophy. 37 (1): 142–153. ^ Colanduno, Derek (13 February 2013). "Should You Answer Aristotle?" (Audio). Skepticality Podcast. Skeptic Magazine. Retrieved 14 May 2014. ^ Richard Saunders (24 September 2010). "The Skeptic Zone #101" (Podcast). Event occurs at 32:50. Retrieved 20 July 2014. ^ Moreland, J.P. (2013). Debating Christian Theism. USA: Oxford University Press. ISBN 978-0199755431. ^ Pigliucci, Massimo (20 September 2013). "Dear Pope". Rationally Speaking. ^ Pigliucci, Massimo (1 August 2005). "Welcome, everyone!". ^ Pigliucci, Massimo (20 March 2014). "So long, and thanks for all the fish". ^ Stiefel, Todd; Metskas, Amanda K. (22 May 2013). "Julia Galef". The Humanist Hour. Episode 083. The Humanist. Retrieved 3 March 2015. ^ Culp, Jennifer (2014). Neil DeGrasse Tyson. Great Science Writers Series. The Rosen Publishing Group. p. 74. ISBN 9781477776926.